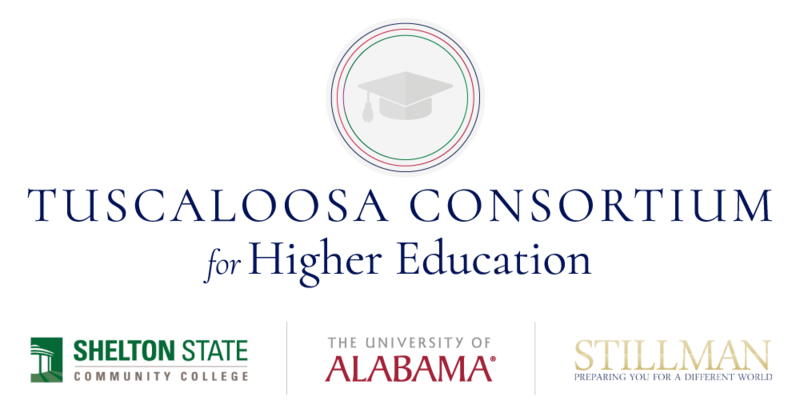 The Tuscaloosa Consortium for Higher Education (TCHE) was established in 1997 to encourage collaboration among Shelton State Community College, Stillman College and The University of Alabama. While each has a distinctive mission, this partnership has enabled faculty, staff and students of these three institutions to build on complementary strengths and to develop partnerships that will promote educational opportunity, support economic development and enhance the quality of life in the Tuscaloosa community. The vision for TCHE is to cultivate community engagement efforts among The University of Alabama, Stillman College and Shelton State Community College.